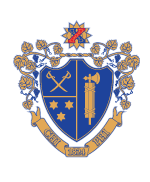 Actives, Alumni, parents and friends can support students, their Chapter and the Fraternity through the Chi Phi Educational Trust (Tax ID: 58-6035103) using a variety of outright, pledged and planned giving methods. Some of the more popular giving methods are listed below. As with any important charitable decision, individuals should consult with their own legal and tax advisors. Chi Phi volunteers and staff are also available to hold a confidential consultation to discuss these options with you in more detail. Contributions to the Chi Phi Educational Trust (tax id: 58-6035103) are tax deductible to the extent permitted by law. Stock – Outright: Giving long-term, appreciated stock allows donors to avoid paying capital gains on the increase in the stock’s value. Donors also typically receive a tax deduction for the full fair market value of the stock on the date of the gift. Corporate Matching Gifts: Many companies will match or multiply a donation made to the Chi Phi Educational Trust through their matching gift programs. As a result, donors can double or triple their gift to the cause they support by simply completing their company’s matching gift form and returning it to the Chi Phi Campaign Office. Bequest: A bequest is a gift left in your last will and testament or living trust. Donors can establish a gift by adding basic language to their will or trust documents naming the Chi Phi Educational Trust as a beneficiary of a specific amount or percentage of their estate. Retirement Plan: Donors can support Chi Phi by naming the Educational Trust as the beneficiary of all or a portion of their IRA, pension, 401(k) or other retirement plan. Life Insurance: If you own life insurance policy that you no longer need, you can name the Chi Phi Educational Trust as the owner and beneficiary of the policy. If the policy has a cash value, you can take a charitable deduction approximately equal to its cash value. If you still pay annual premiums, you can deduct the premium payment each year. Charitable Gift Annuity: A gift annuity is a simple, contractual agreement between a donor and the Educational Trust in which you give assets to us in exchange for our promise to pay payments for life to one or two individuals. In some cases, the annuity payments are higher than you would earn in a traditional savings account, and you may also incur additional tax benefits. Charitable Remainder Trust: When you create a charitable remainder trust, you give money, securities or other assets to a trust you create that will then pay you an income for life or for a period of years. If you wish, the trust also can pay an income to other beneficiaries of your choice. At the death of the final beneficiary, the remaining balance in the trust goes to the Chi Phi Educational Trust.